It’s Time for a Retreat! Whether it’s a week, a weekend, or for the summer, we can all agree that sometimes we need a retreat! What better place for a retreat than the beautiful campground of Camp Manitoumi? Whether you want to relax by the pool, or by the fireplace in winter, we have what you need! We are more than your typical campground retreat, though. Great retreat opportunities await you at Camp Manitoumi, the “Land of God.” Our Lord can be found everywhere in the breathtaking nature around us, and we offer accommodations for any event or season! At Camp Manitoumi, our mission is to evangelize the lost, promote Christian maturity, and help our campers experience the joy of camping and nature. Do you want to play sports during your retreat? We have basketball, soccer, and baseball fields ready for you! 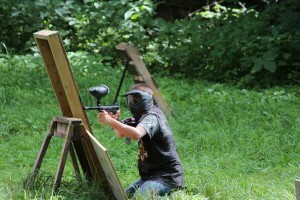 We also offer mini golf and paintball. Are you looking for a quiet place with family or friends? Check out our cozy Chapel/ Winter Lounge, complete with restrooms and an electronic piano. There are activities for every season! We offer hayrack rides that are perfect for autumn, sledding hills for winter fun, and a swimming pool for summer’s warmth. Are you looking for a place for some team-building exercises? Look no further than Camp Manitoumi! Call us today to learn more about our team-building elements for your corporate/team retreat! Whatever retreat stands for to you, we have the accommodations you require! 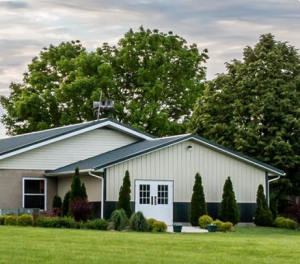 Our fully-equipped family-style kitchen is ready for your cooking, and our newly completed Retreat Center is prepared to house just a few friends or your whole family! Call us today or fill out our contact form here to learn how we can make your retreat a memorable one.